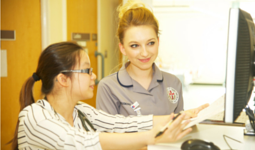 We provide services at both Warrington and Halton hospitals and our philosophy is to support patients and health care professionals to safely manage and care effectively for patients in the community and hospital. We support patients with Diabetes and Endocrine conditions. Structured Diabetes Education - Type 2 patients only. Dr Agbor Ako - Consultant Physician in Acute Medicine, Diabetes & Endocrinology (Locum). Dr Ako is interested in the drug management of Diabetes. He has previously worked within diabetes research. He also has a special interest in management of the Diabetic Foot and diabetic neuropathy and was part of the research team at Manchester University. We provide a mix of clinics on both hospital sites. 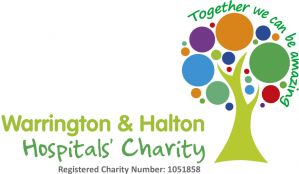 The only clinic provided exclusively at Warrington Hospital is the Medical Obstetrics Clinic, which is run in conjunction with the obstetricians within the Womens’ Health department of the hospital. We also run a Structured Diabetes Education programme called MyDiabetes- details for contacting this service are found in the Contact Us section. For queries relating to our Diabetes Education Programme please call 01925 251417.